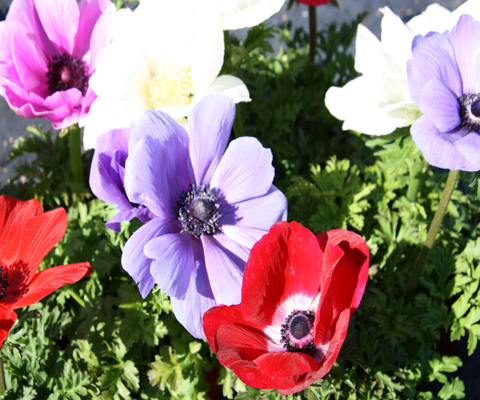 Anemones have clear, beautiful colors and produce huge blooms. We sell them in Blue, as a Mix (as seens in the main pic), Pink, Red, and White. Water thoroughly and take care not to let the soil get too dry.